I want to offer the harp player something different while still offering that vintage style that feels so good. As a lot of you players know, there are a lot of people putting together mics and they work and are good tools but I am offering something for the enthusiast, something that you can enjoy and have pride of ownership and something that you can play in every gig or play along with your favorite record at home. My background is in art and product illustration and that was brought into my business as a custom pistolsmith. 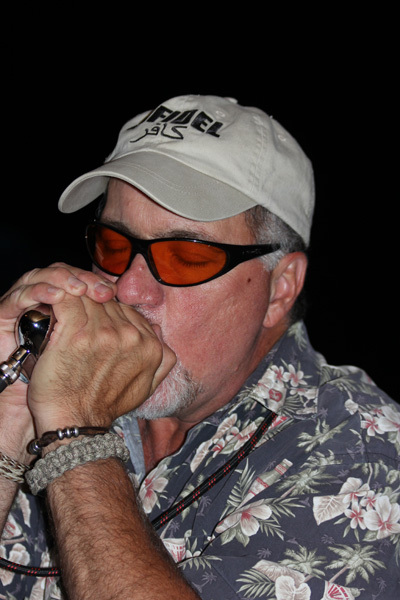 I am a blues harp player and have a huge passion for the right sound of a harp mic. Now, I am parlaying my eye for detail along with my passion for the blues and my passion for playing harp into the mics you see on this site. Again, thank you for taking the time to look over my offerings and if you have any questions please send me a email or call and I will do my best to get you sorted. "Find Blues Harp Mic on Facebook"